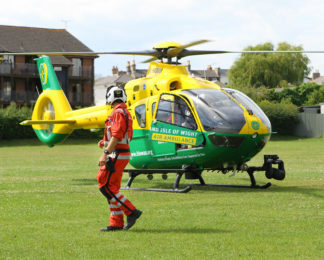 Hampshire and Isle of Wight Air Ambulance (HIOWAA) flies an Airbus H135. 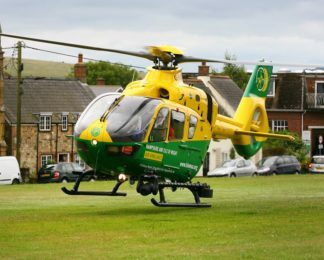 In 2014 we announced our commitment to full night flying capability, and in October 2015 the enhanced model Airbus H135 helicopter, specially equipped for night flying, arrived at our airbase in Thruxton. 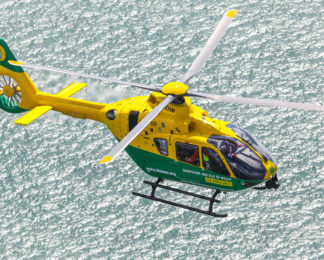 The H135 is an upgraded version of our previous helicopter, the EC135. 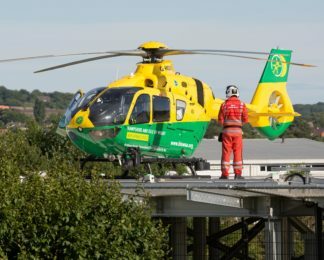 Like the EC135, the H135 can land in an area the size of a tennis court and can be anywhere in Hampshire within 15 minutes and the Isle of Wight in 20 minutes. It also has skids, which are ideal for the varied terrain we have in Hampshire and the Isle of Wight. The H135 is known for its high endurance, compact build, low sound levels, reliability and versatility. 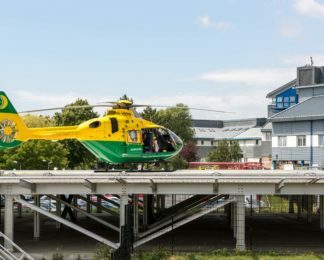 The H135 can carry three or four crew members which means that, not only are we able to carry a doctor and a paramedic on board most flights, but sometimes a family member can also travel with the patient. Range: 801 km, 432 NM. Our routine range would be 633 km, 341 NM. Endurance: 4 hours 40 mins. To allow for the carriage of a patient immediately, we do not fly with full tanks. We can fly for approximately 3 hours 40 minutes before having to refuel. 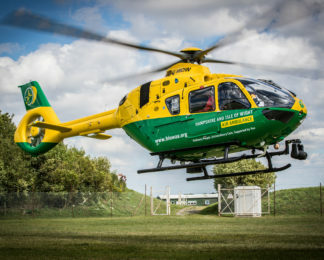 The H135 is additionally fitted with two Garmin 750 GPS systems; moving map displays; two iPad minis; a power line detection system; Fenn Night Vision Goggles and a Trakka high intensity searchlight.